Casual styling at its best! This upholstered chair has track arms and exposed wood legs in a dark finish that will look great with any living room décor. 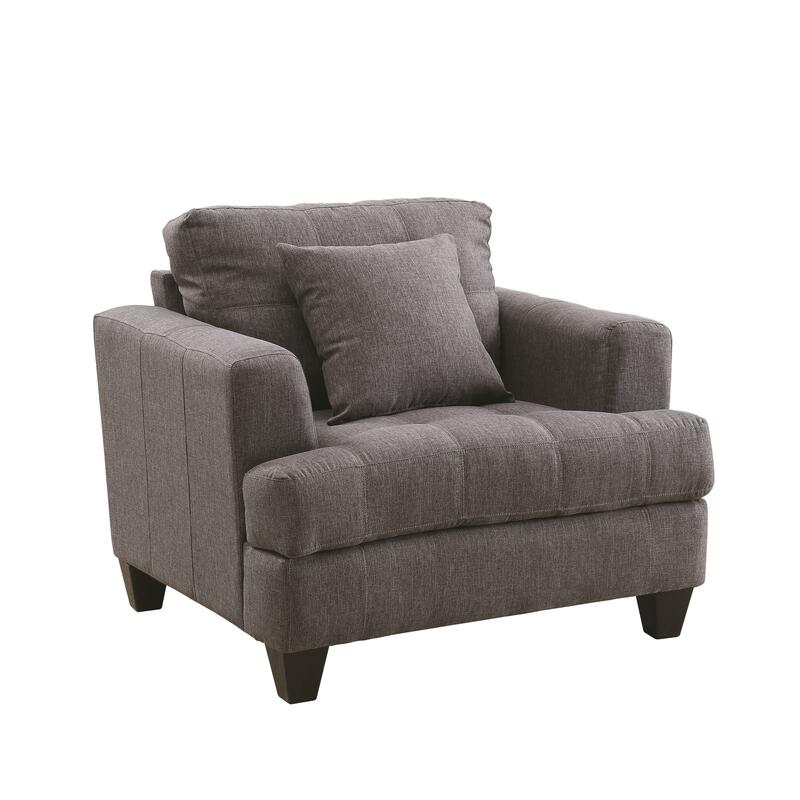 With a lightly striped seam pattern and tufted cushions, this chair doesn't compromise on style while providing a great place to relax. The Samuel Sofa Upholstered Chair with Tufted Cushions by Coaster at Lapeer Furniture & Mattress Center in the Flint, Michigan area. Product availability may vary. Contact us for the most current availability on this product. Pieces from this upholstery collection will add style and comfort to your home. With a casual, yet modern design this collection will fit perfectly with many décors. With an upholstered chair, a loveseat, and a sofa you can find something just the right size for your space. The Samuel Sofa collection is a great option if you are looking for Casual furniture in the Flint, Michigan area. 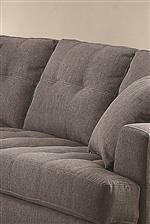 Browse other items in the Samuel Sofa collection from Lapeer Furniture & Mattress Center in the Flint, Michigan area.